Whirligig is pleased to announce a new interview with photographer and Bay Area native Marion Patterson. Patterson was mentored by Ansel Adams, and has experienced a rich history surrounding the early California art and photography scenes. She was photo faculty at Foothill and DeAnza Colleges for 28 years. Patterson has several new bodies of work coming out based on recent travels to Antarctica and the Galapagos. 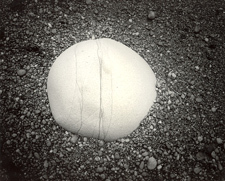 Her monograph Grains of Sand: Photographs by Marion Patterson was published by Stanford University Press. Read Marion’s interview at whirligig.hungerbutton.org.